This space is dedicated to transmitting the energy, knowledge and practices that have touched me on my journey in the hope I can inspire you to be everything you ever dreamed of and more. Radio Show. Phonic FM. Music & Auras. Sarah's first ever podcast. Thanks Lena! Just as you would embrace, make time and offer words of comfort to a friend who is hurting... So use the same approach with the parts of you who is hurting. Being in the dark cocoon of transformation certainly feels...dark at times. Is there even a light at the end of the tunnel? Are we ok? Is there something wrong with me? With us? It feels close, even suffocating. I used to fly into rages, the people the closest to me got the worst of it. Often it was a chemical imbalance, a lack of food or sleep. Other times stress upon stress. Being pushed and pulled and feeling people had expectations of me, as well as having expectations of myself. When the reality veered slightly from what I wanted then BOOM. 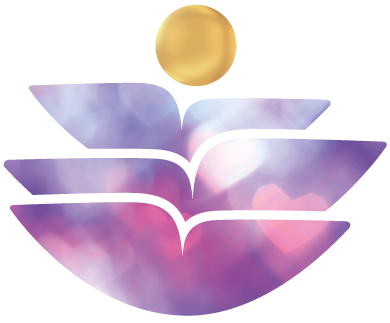 Read about Collette’s experiences of the accelerated healing she sees working with people with the Crystal energy, and read Jana’s life changing experience in working with Dare to Be AuraTransformation and Collette's yoga in tandem. See Jana's before and after pictures too! To watch the innate power of the human being to ignite, burn down and rise again renewed, stronger, and sparkling is what I live for. It makes all the risks I have taken of being outspoken about a little known healing modality worth it. Read about post Dare to Be AT improvements in organ function, battling insomnia, pregnancies, injuries healing rapidly and more. What are the signs that you have no energetic protection? Where do you end and others begin? Are you leaking vital energy? Are people's thoughts seeping into yours? Do you worry so much about others that you have become boundary-less? You can start learning about the quality of your energetic protection by answering these following questions. AuraTransformation™ is a permanent expansion of your consciousness which is a ground breaking, once in a lifetime, energy healing method. Ready to take the next step? I feel strongly that part of my life purpose is to spread the message of AuraTransformation™ as far and wide as possible. Nothing makes me happier than achieving balance myself every day and in helping people reach full independent empowerment, clarity and balance themselves.